Alarm systems are one of the most effective tools for securing a commercial or residential property. The main idea being that when a window, door or safe is opened the alarm will sound and the noise disturbance will deter the potential intruders not wanting to draw attention to themselves. Some alarm systems can even notify the police to attend the premises when triggered. 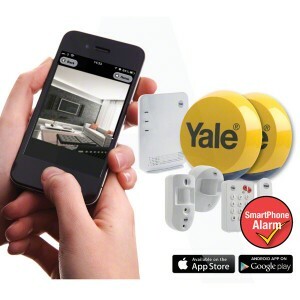 These days alarm systems have become much more affordable with the help of wireless alarms which do not require professional installation and many can even be monitored remotely.